Processing industry professionals have discovered that partnering with Phantom Pumps typically improves your production while reducing your variable speed pumps, sump pumps and other pump related equipment, repair and maintenance costs. Those who use a big name variable speed pump for chemical processing, dewatering, wastewater treatment and other industrial applications often find most of their higher priced pumps have high-quality, compatible versions available at Phantom Pumps. We manufacture a line of exceptional self-priming pumps that are interchangeable with many pumps produced by renowned names in the industry. We always design and manufacturer our pumps to the highest standards and assemble, test and package all of our products in the United States to ensure our strict quality control standards are met. Pumps in our line feature patented designs that have proven up to 7% longer component wear life and up to 700% higher efficiency gains than many comparable pumps in extreme trials. Our pump specialists can quickly cross-reference your pump model numbers to Phantom Pumps products for you, so we can make it as simple as possible to switch your worn out and/or broken sump pumps with compatible Phantom Pumps models. For processors opening new facilities, our application engineers will match our variable speed pump models to your unique processing specifications and requirements. To get operations up and running smoothly and efficiently, orders are always processed and shipped quickly from our warehouses. Our parts are interchangeable with hundreds of pump models, and our parts department personnel are always happy to cross-reference components to find the correct Phantom Pumps parts that technicians need to service compatible pump equipment. 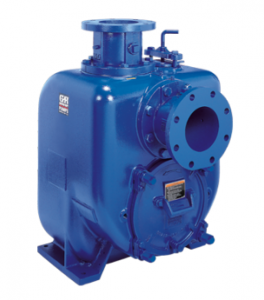 Using Phantom Pumps replacement parts for service on repairable variable speed pumps is an excellent way to lower overall expenses at your in-house service departments in Ohio, Tennessee, Texas, Colorado, New Mexico and beyond. Contact us today to request quotes or place orders.